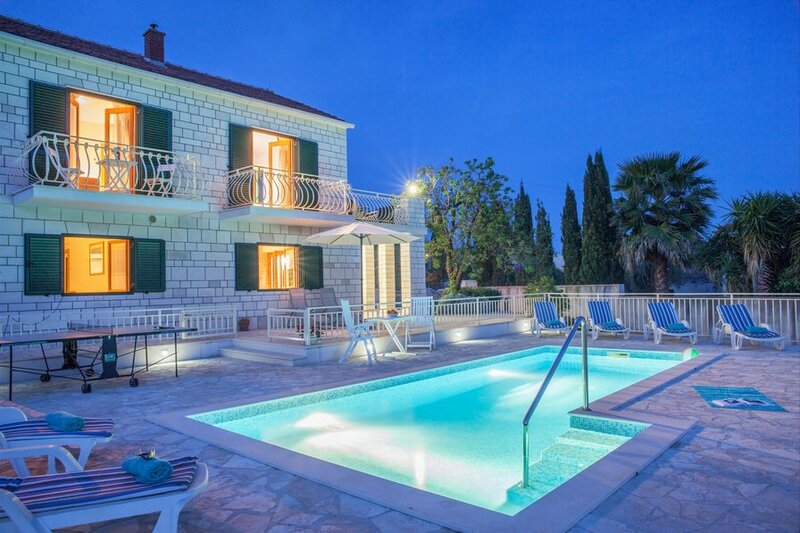 To make your stay on Brač Island as pleasant as possible, we have equipped the villa with all the equipment you might need. This charming villa can accommodate 8 to 10 people comfortably. On the ground floor there is a kitchen / dining room / sitting room area, a separate wc, one bedroom with an en suite bathroom and a beautiful garden with Mediterranean vegetation a garden terrace with a swimming pool. The upper floor has 3 bedrooms, 2 bathrooms, 2 balconies and a furnished large terrace with stunning sea views.